IT has been dubbed the new way to cook, and, after a $22 million injection, it is set to grace households on the Gold Coast and in Brisbane. 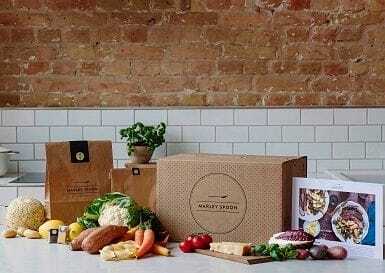 Marley Spoon, an innovative meal kit delivery service, aims to bring stress-free, tasty and sustainably sourced recipes to Brisbane and Gold Coast households to simplify home cooking. Having successfully launched in the USA, UK, Germany and The Netherlands, Marley Spoon Australia launched in June 2015 in Sydney, and quickly expanded to Melbourne and Canberra before launching in Queensland this month. The recent expansion comes on the back of $22 million in Series B funding in early 2016. The money has helped the company to accelerate growth plans into the east coast of the US and Brisbane, as well as develop a mobile app to facilitate account management and customisation. The business was founded by Fabian Segel in Germany, with E-commerce guru and BrandsExclusive founder Rolf Weber joining the Marley Spoon team to launch the Australian arm, enlisting the help of Rockstar Games marketing whizz, Dave Malcolm, to drive growth for the business. "The meal kit delivery industry is growing rapidly as we become busier and look for ways to simplify our lives," says Weber. "Australians are also food lovers so we know that amazing flavour is incredibly important, not just convenience. Weber adds that Marley Spoon's unique selling point is choice. "We want our customers to be in control of their weeknight meals and pick their meals based on their palette and preferences," he says. "We're thrilled to be offering Brisbane and Gold Coast residents easy, tasty and diverse recipes straight to their door." With the addition of Brisbane and the Gold Coast, Marley Spoon now delivers to every major city on the Eastern Seaboard, servicing 50 per cent of the Australian population. Marley Spoon's mission is to inspire Australians to embrace home cooking by providing seasonal ingredients and delicious recipes that maximise variety and minimise prep, cooking time and food waste. Local in-house chefs create a range of 12 new recipes each week for families and couples to choose from. Members can choose the recipes they receive every week, with produce sourced from local suppliers and delivered in exact quantities, eliminating food waste. Brisbane and Gold Coast residents can order from July 11 and enjoy an array of recipes, including crispy-skin salmon with hazelnut potatoes, lentil rissoles with avocado and sweet chilli pitas, pappardelle lasagne with Italian sausage, and zucchini and broad bean pasta with mint and lemon.